Of course pressed metal received a mention – what is a period home without it really…? 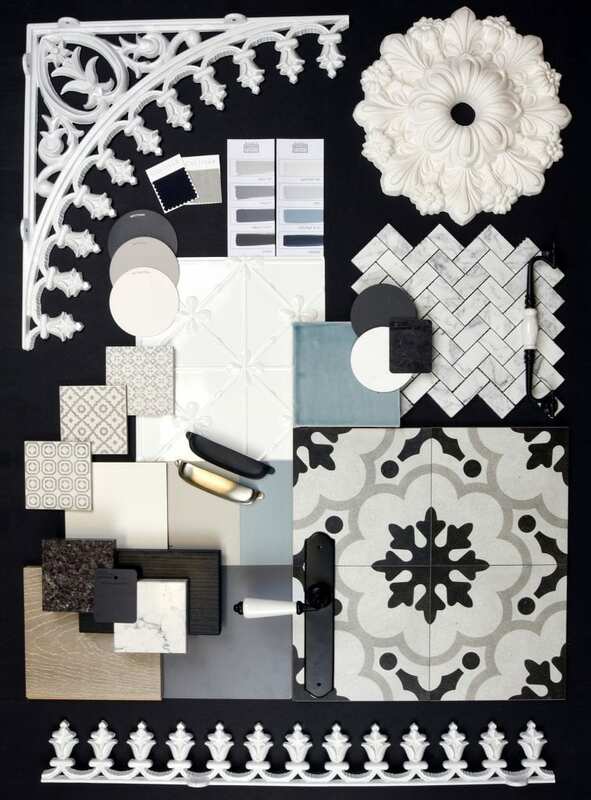 See some of our samples featured on their mood boards below. House of Home is the place to buy, sell and discover everything you need for your home – from inspiration, homewares, artwork and furniture to lighting, tiles and everything for your bathroom. 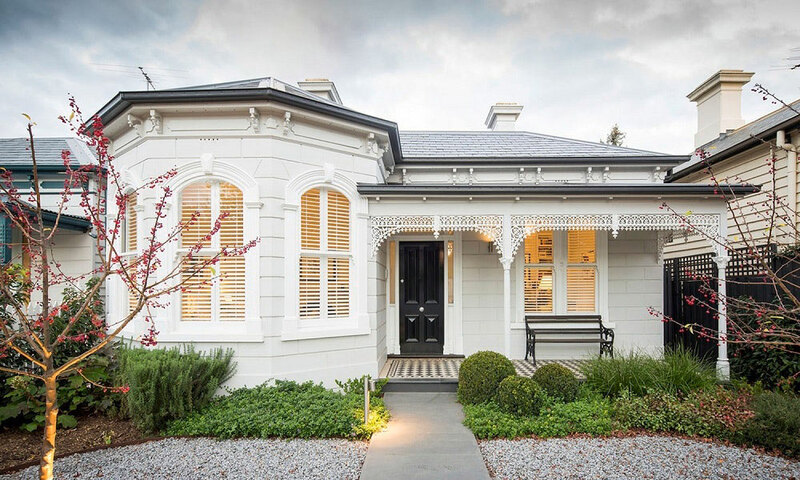 With over 60,000 home products on the site available from local retailers, independent sellers, and makers from around Australia, you are sure to find just what you are looking for to transform a house into your home. You can even sell your used furniture online through House of Home. Heritage blue mood board as arranged by House of Home features the Clover pattern sample in Classic White powder coat colour. 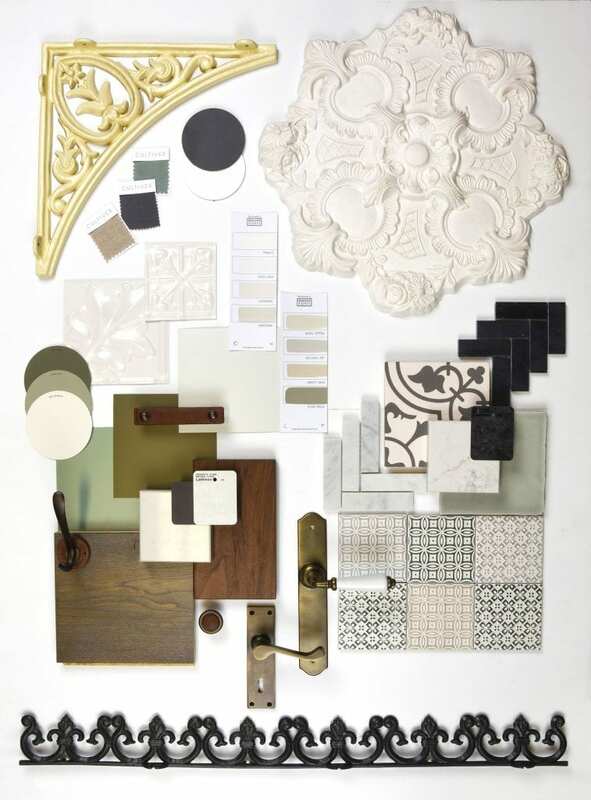 Heritage green mood board as arranged by House of Home features the Large Maple and Lachlan Hearts pattern samples in white powder coat colours.